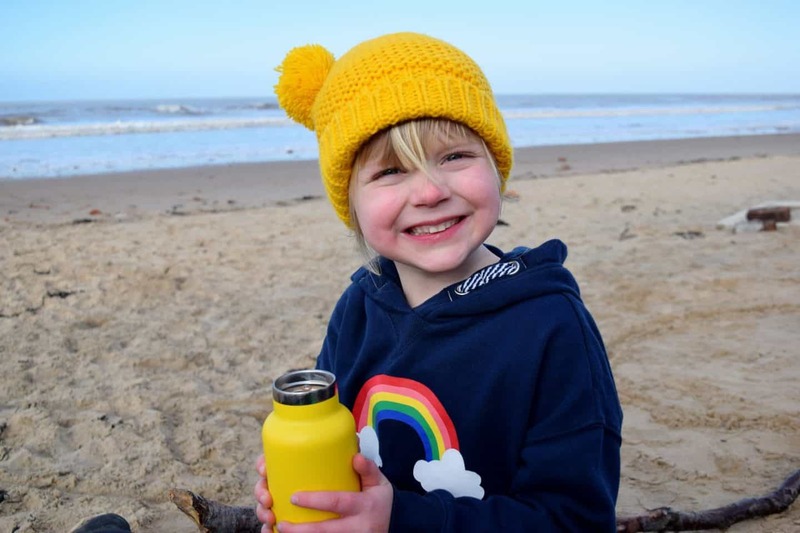 Now that spring is well and truly under way, it’s definitely starting to feel easier to get out and about so we’re planing in lots of outdoor adventures over the coming weeks and months! 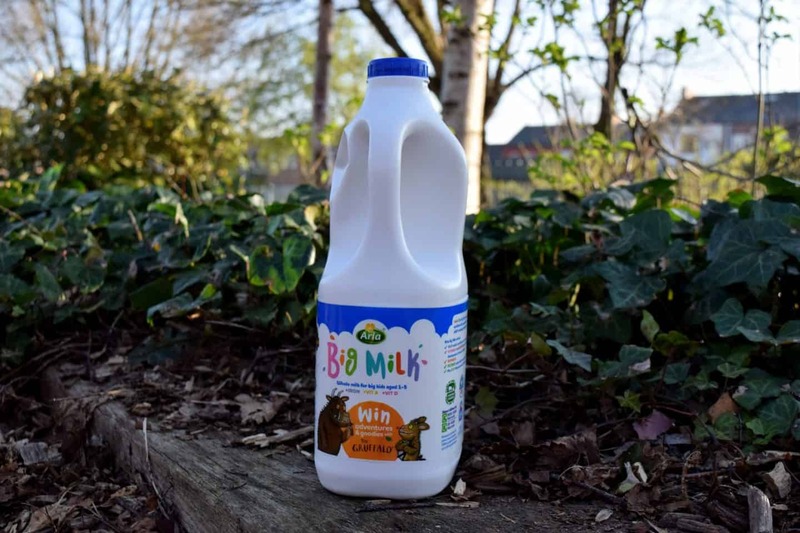 Arla Big Milk have partnered with the Gruffalo himself to encourage you to get your little explorers out and about to explore the world around them and have some BIG Adventures! With this in mind, we wanted to share our tips for making the most of your outdoor adventures! This might seem like an obvious thing to say but being dressed appropriately for your adventures is one of the most important things you can do to ensure successful exploring – nobody wants to cut their adventure short because they’re cold, wet or have got blisters on their feet! We are big believers that “there is no such thing as bad weather, just bad clothing” and with the right gear you can get out there in any weather. 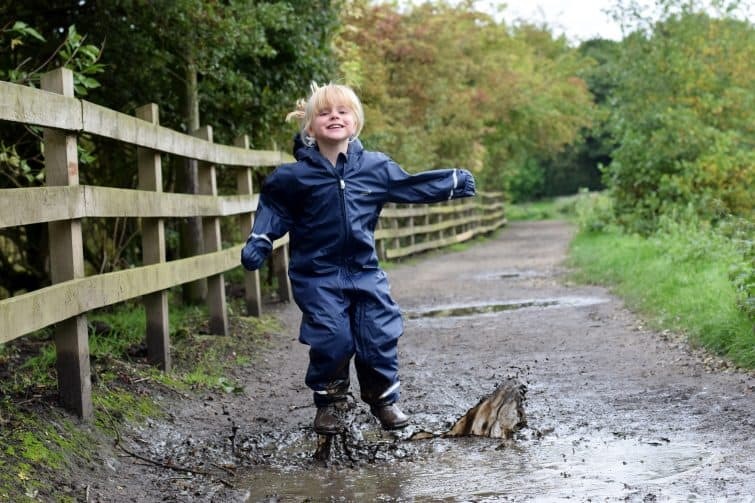 Layers and waterproofs are key as well as making sure you’re wearing the right shoes. Warm, dry feet will keep anyone happy! While we’re on the subject of clothes, make sure you’re wearing clothes that you’re not bothered about getting dirty – Ben loves nothing more than to climb trees so taking him to the park in his best jeans means either he’s miserable because he can’t climb or I’m miserable because he’s wrecked his new clothes! We always leave a towel and a change of clothes in the car for emergencies too – all three children have had to come home from adventures in just their underwear before now after getting a little enthusiastic with their wave jumping or falling in muddy puddles – but let’s face it, that’s part of the fun and usually the bit they remember the most! As parents I think we are generally risk averse. We, quite rightly, want to do everything we can to keep our children safe and out of harms way. However, children do need to learn to take risks. 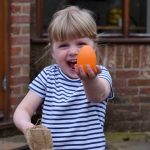 They need to learn to make decisions for themselves as well as to challenge and push themselves – these aren’t just skills for adventures but skills for life. As I’ve said, Ben is a keen climber of trees, fences, climbing frames . . . anything that will get him up off the ground. I’ve got him well trained and he’s pretty good at asking my permission before he disappears off up whichever structure he’s got his eye on, but he’s definitely caught me off guard once or twice by appearing half way up a tree! 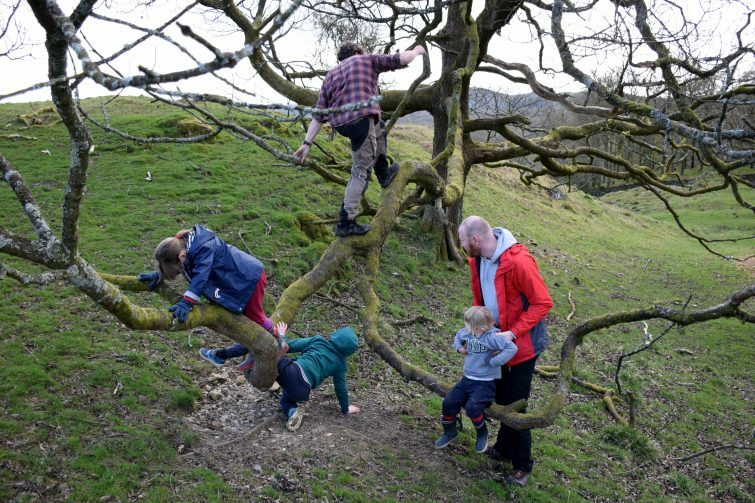 On our Wild Living experience a few years back, Ben was taught by Boss Ben how to test branches out, to make sure he was always holding on with one hand and to plan his route both up and down a tree, he was also taught how to jump off safely. There are times where I have my heart in my mouth and times where I have to rein him in, but mostly I feel able to trust his judgement and know that he knows his own boundaries. I’ve taught all three children, if you can’t get up there by yourself, you shouldn’t be up there. 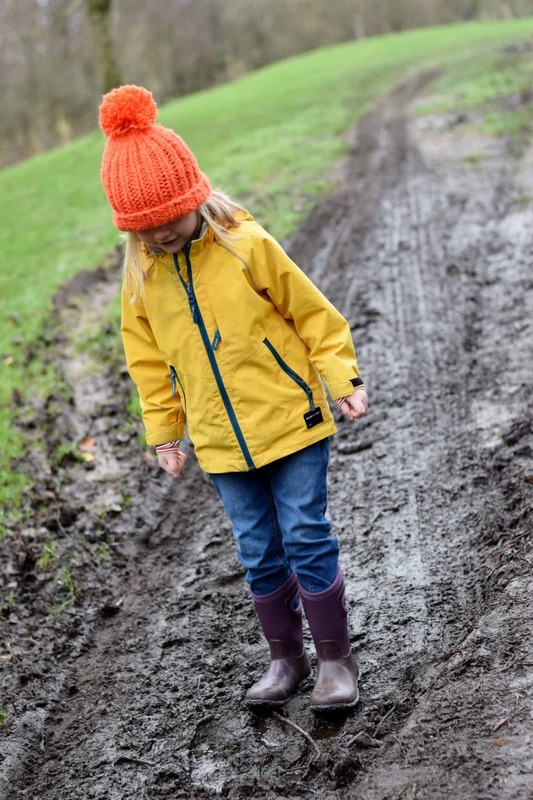 Going for a walk isn’t always a whole lot of fun for little ones. I remember moaning profusely as a child whenever the “W” word was mentioned. We rarely say we’re “going for walk” to our three, in fact it’s more likely that we’d say “Let’s go on an adventure” – it’s all about how you sell it isn’t it! 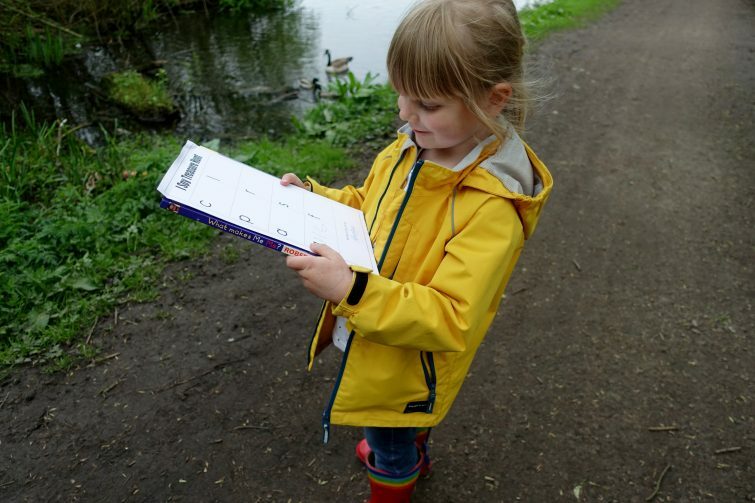 Having a few games or challenges up your sleeve can make the walk so much more interesting – our three love spotting and identifying animals tracks, we’ll play variations of I Spy or set them a scavenger hunt style challenge, perhaps even look for signs that a Gruffalo might be in the area! 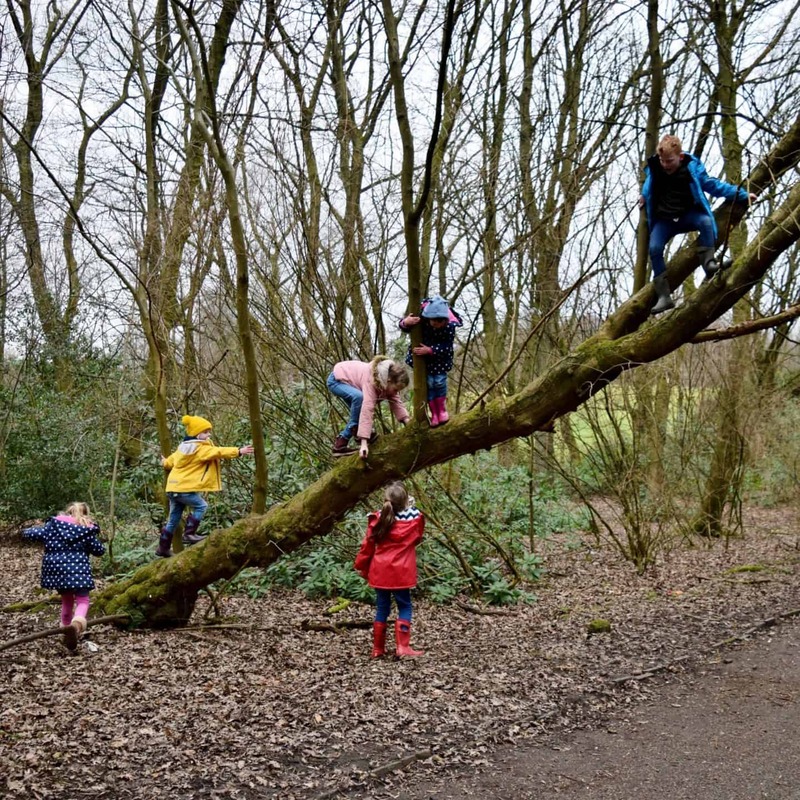 What BIG adventures have you got planned this spring? I think you’re right about risks. My girls are younger but already love climbing. The course sounds amazing for teaching Ben those skills. It was an incredible experience – we were extremely fortunate. My kids are crazy climbers too! I love your photos! Great photographs! We have been using Arla Big Milk with Freddie as he has point blank refused other blue top whole milks and so far he drinks most of it. Win!